Earlier in the Innovation Series, we discussed the importance of innovation technology. The article highlighted how organisations that employ the use of innovation technologies often financially out-perform their competitors who do not. What then are some of the technologies available? Digital innovation management platforms have become increasingly popular over the years, with close to a hundred different options available for purchase. Buying a specialised innovation platform usually doesn’t come cheap, and with such a variety on offer, it is particularly important to take time to consider what options are available to your organisation, and which would work best for you. To this extent, Innocentrix always keeps a sharp eye on changes in the digital innovation landscape. Matching your organisation’s innovation needs with the correct platform is essential to ensure ROI and growth in innovation. Below are a few examples of technologies in support of innovation that we find particularly interesting. Idea Spotlight is just that – a platform that places the spotlight on ideas. It is an innovation management system that allows for users to post innovation-related ideas, also allowing for interaction from other users on the platform. 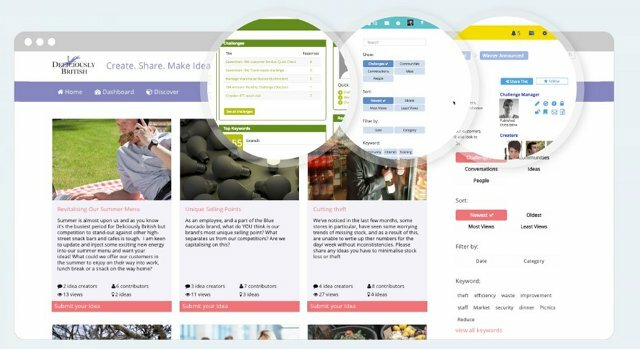 Users can rate, comment and build on other’s ideas, ultimately identifying the best ones and refining them. The same platform can be used by members of the innovation management team to review potential innovations, and move them towards implementation. Idea Spotlight uses an “innovation challenge” system to focus the ideation process and to inform users of current innovation needs. The cloud-based system allows for easy access by all employees, even through the use of a mobile app. For organisations looking to embark on an innovation drive, Idea Spotlight is an easy to incorporate system that provides all employees the opportunity to contribute. The customisable platform, which offers administrators full control, is well suited for organisations who aim to either begin or boost their innovation journey. Aviva, a multi-national insurance company, has recently enjoyed innovation success through the use of Wazoku’s Idea Spotlight platform. Aviva managed to engage more than 2000 employees from all of its global branches in their innovation drives. For more information on the platform, and for other case studies, visit www.wazoku.com. Whereas Idea Spotlight covers innovation management, SharpCloud delves into the implementation of projects (innovative or not). SharpCloud allows for the creation of visual “stories” where, right from day one, contributors can pull together data, videos, feedback and presentations in compelling visual formats and share these with private stakeholder communities. It further allows for complicated project plans to be broken down and displayed visually. Different teams and departments can edit and update their specific focus areas, including the mapping of stakeholder relationships, and teams can work together in real time to forward a project. Managers and executives can easily watch progress of products and customisable dashboards visually tell the stories of projects in an easily understandable format. Sharpcloud is a great tool to use in managing and implementing innovation projects. Its user-orientated design, as well as its ability to facilitate a collaborative working environment, makes for a powerful innovation enabling software package. SharpCloud’s ability to streamline project management has come in particularly handy to Captify, a British-based specialised digital advertising agency. As a fast growing company, managing several different teams in different offices was a challenge overcome by the use of Sharpcloud. For more information, visit www.sharpcloud.com. Dassault Systemes, known as the 3DEXPERIENCE company, hosts specialised innovation software used in state-of-the-art industry processes. 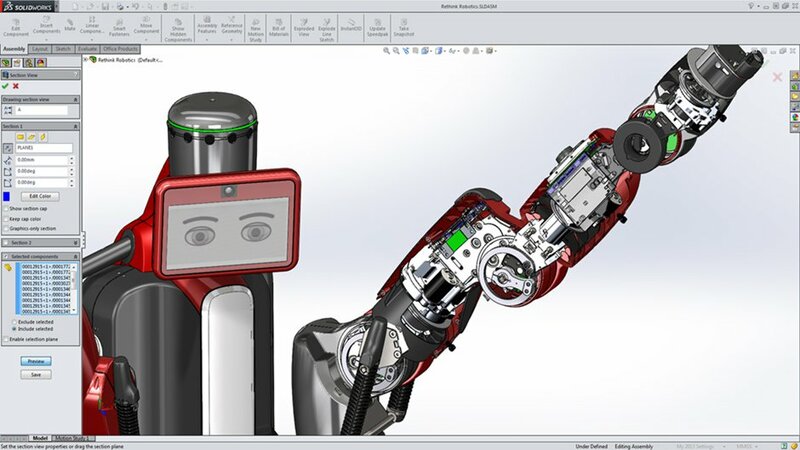 Their specialised and powerful software packages allow for the creation of complex 3D designs, and transform the way products are designed, produced, and supported. Dassault’s variety of software packages exist to assist organisations on their innovation path by allowing for new and complex designs to be broken down into an easy-to-use 3D experience. From these intricate 3D models, complex concepts can be made to seem simple, engaging stakeholders and customers alike. Dassault’s innovative software is most at home in technology-focused organisations, where innovation is usually related to the design and use of high-tech systems. The software gives specialists a powerful platform for communication, collaboration and virtual world product design and piloting, stimulating innovation through understanding and co-operation. Dassault’s full systems suit has recently been purchased by Jaguar Land Rover to assist in the development of innovative performance vehicles. According to Jaguar Land Rover, Dassault will assist them in developing vehicles in a more effective and innovative way. At Innocentrix we believe that making use of the right technology and organisation can be transformed into an innovation leader. But with such a large variety of specialised software out there, navigating the innovation management software space can be quite daunting. If you require assistance with this process, please feel free to contact us.